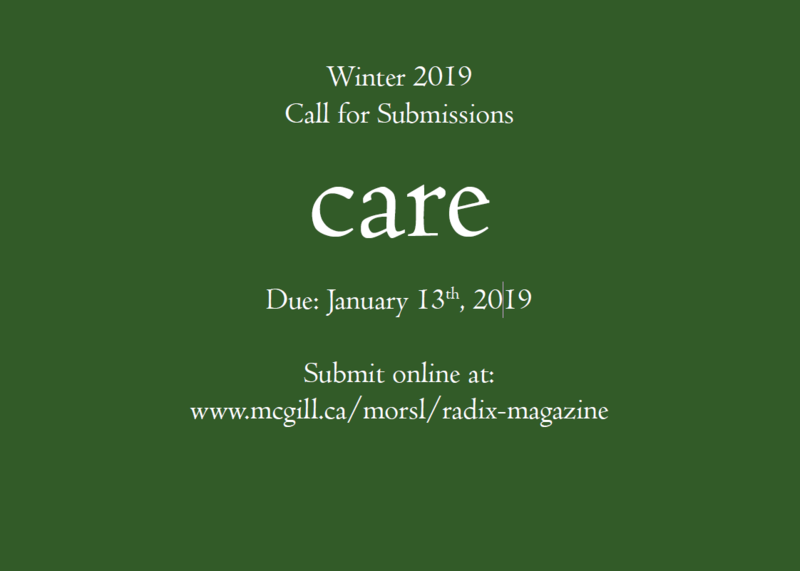 Open call for submissions for our next issue of Radix, on the theme of 'care'. Deadline to send us your entries is by midnight on Friday, January 18, 2019 (extended). All works of poetry, essays, interviews, photos, drawings, or any other visual art, are gathered via our online submission form. We look forward to seeing all the wonderful things our McGill community of students comes up with!